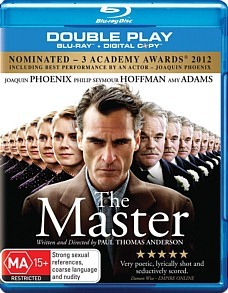 The Master Blu-ray Review The Master is an exquisite film that only serves to further illustrate why Paul Thomas Anderson has received so many – well deserved – accolades. Highly recommended. What a difference two letters can make: There are two prominent directors named Paul Anderson but the quality of their output could not be more diametrically opposed. Paul W.S Anderson is best known for directing the Resident Evil series, hollow films full of bombast, superficiality and nepotism ( The striking Milla Jovovich is his wife) whilst Paul Thomas Anderson is an Oscar nominated auteur who has such brilliant pieces of work as There Will Be Blood and Boogie Nights to his credit. Thankfully The Master is the latest release from the latter. 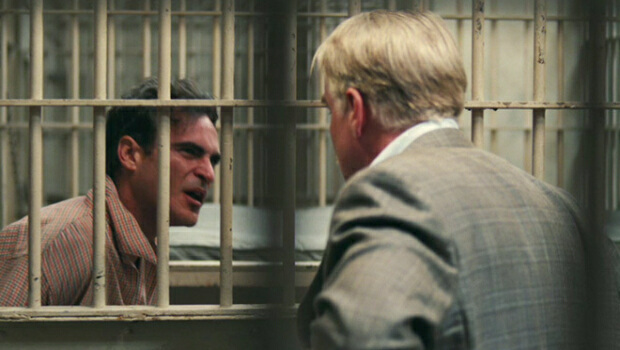 The Master introduces us to WW2 veteran Freddie Quell (A superbly nuanced performance by Joaquin Phoenix), a violent, sexually obsessed alcoholic who having difficulty assimilating back into conventional society upon returning, possibly due to Post Traumatic Stress Disorder but more likely due to the PTSD exacerbating pre-existing issues that are explored intermittently throughout the narrative. Flitting from one menial job to another, Freddie’s volatile anger soon gets him into a confrontation with his fellow worker, leading to a chance encounter with the affable Lancaster Dodd (Anderson regular Philip Seymour Hoffman). Freddie soon discovers that the charismatic Dodd is the leader of “The Cause”, a philosophical paradigm of Dodd’s that initially started as a form of therapy before mutating into something closer resembling a theological cult mentality. Despite his initial reluctance, Freddie soon finds himself thrown into the indoctrinated lifestyle of a follower of “The Cause”, travelling the U.S and spreading the good word. Getting more and more embroiled in Dodd’s life, Freddie is confronted with objections to his unorthodox faith as he becomes overtly pious; his tenuous relationship with Dodd’s overprotective wife Peggy (Amy Adams) fractures as he becomes closer to Dodd and when the inevitable crisis of faith crops up He still doggedly defends Dodd, despite his own growing scepticism. The Master is less about “The Cause” than it is about the lengths people will go to chasing those elusive answers, determinedly hanging on to an ideology, no matter how progressively absurd, in an attempt to quell that desire for the ultimate truth. Freddie and Dodd’s relationship reveals many similarities between the two; at times you’re not exactly sure who’s conning who. Freddie, unable to hold down a job and feeling disjointed, receives lodging, food and acceptance from Dodd and his followers. When you’re looking for a place to fit in, does it really matter if you have to believe – or at least pretend to believe in – the improbable? Dodd’s powder keg volatility is more than equalled by Dodd’s contained, simmering anger; when the two collide in an incredibly strong scene set in adjoining cells, the tension is agonisingly palpable. Commendation must go to the commanding performances of the core cast and the always exquisite camerawork of Anderson; in a nod to Freddie’s brief foray into portrait photography, some scenes are extended takes with a stationary framing set up that evokes the feeling of a photograph in motion. The visual design on the film is on par with Anderson’s finest work and the film has an austere quality that never quite lets you get comfortable in, echoing the themes of being the perpetual outsider. The visual quality of The Master is nothing short of superb. Interestingly, it’s the first feature filmed in 65mm since 1996, which gives the image an even greater resolution than what is currently afforded by Blu-Ray. The colours are cool and clearly delineated and the transfer competently handles the switches in saturation and colour palette, of which there are many. There is a slightly grainy texture to the image but this is barely perceptible for the most part and is only truly noticeable upon close inspection. Fine detail is resplendent in its clarity and there is no evidence of compression or artefacts. The Master has an exemplary DTS-HD MA 5.1 track that perfectly balances the audio with Jonny Greenwood’s (Radiohead) lush score. Anderson and Greenwood previously collaborated on There Will Be Blood and it’s fairly safe to say that the soundtrack for The Master is tantamount to that film’s lavish score. There’s no audible bleed through of the channels and the levels have been fine-tuned with a deft hand. Overall The Master is an impeccable transfer that maintains the high quality of Roadshow’s releases. 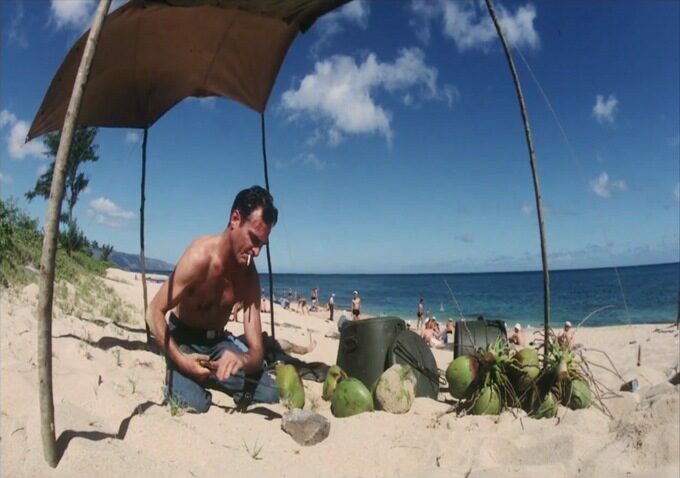 Disappointingly The Master omits some of the features included with the U.S release, such as an entertaining documentary regarding PTSD treatment, only including a twenty minute short film comprised of excised scenes and outtakes set to a unique score composed by Greenwood and a handful of trailers. There’s obviously some degree of correlation between the fictional “The Cause” and Scientology but Anderson doesn’t give in to temptation and use The Master as a platform for ridiculing the esoteric “religion”; indeed, “The Cause” itself is peripheral to the relationship between Freddie and Dodd. This allows Anderson to do what he does best, and that’s dissecting the myriad strands that hold people together, inextricably bound despite themselves, themes previously explored most prominently in Magnolia. 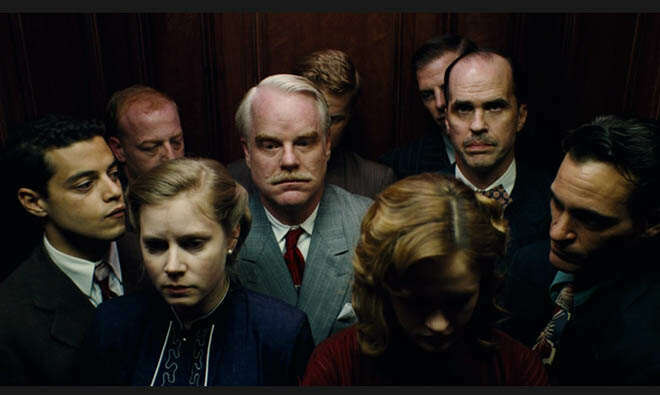 The Master is an exquisite film that only serves to further illustrate why Paul Thomas Anderson has received so many – well deserved – accolades. Highly recommended.